Riverside Sawtooth, a finished quilt top | OccasionalPiece--Quilt! It’s such a striking and clever block Elizabeth! I’m so impressed with the bee members accurate sewing (that’s probably because of the well written pattern!) and how well the blocks play together so well! And such a clever name too! Love it! 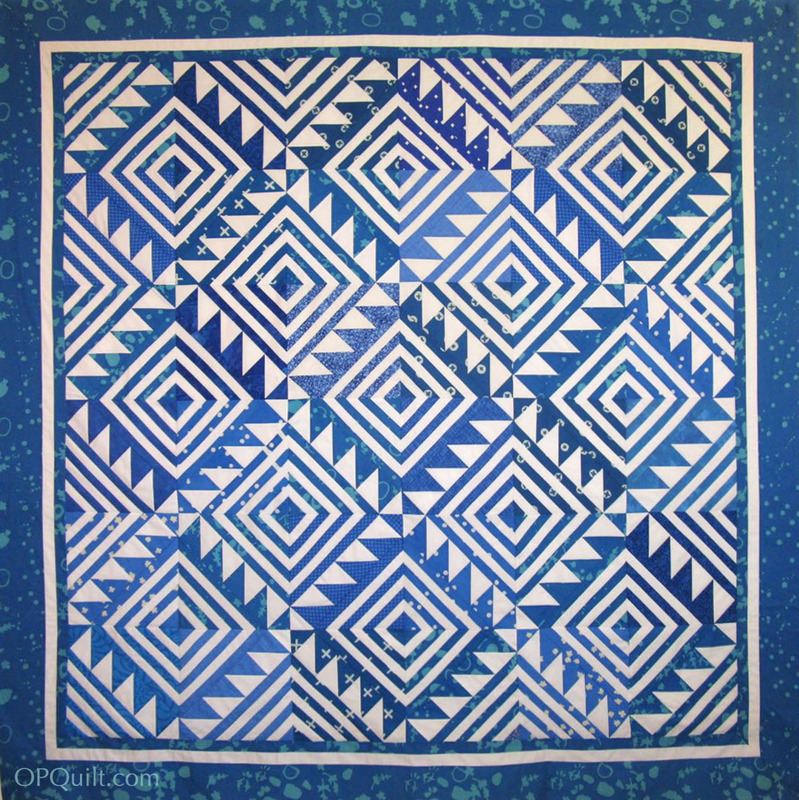 And isn’t that AG blue grouping fun – is what I used on my latest Four-in-Art mini. Brilliant! That is some serious blue goodness! I love that the quilt is traditional and modern at the same time. Really nice work (as usual)! I love that color of blue, and the white as foil makes it even better. I also really like the dotty version, and the larger pieces make it look like something I could do. What is the finished size? A great design! I especially like that the sawtooth strip makes it look like the squares reverse when they don’t. At least I don’t think they do. 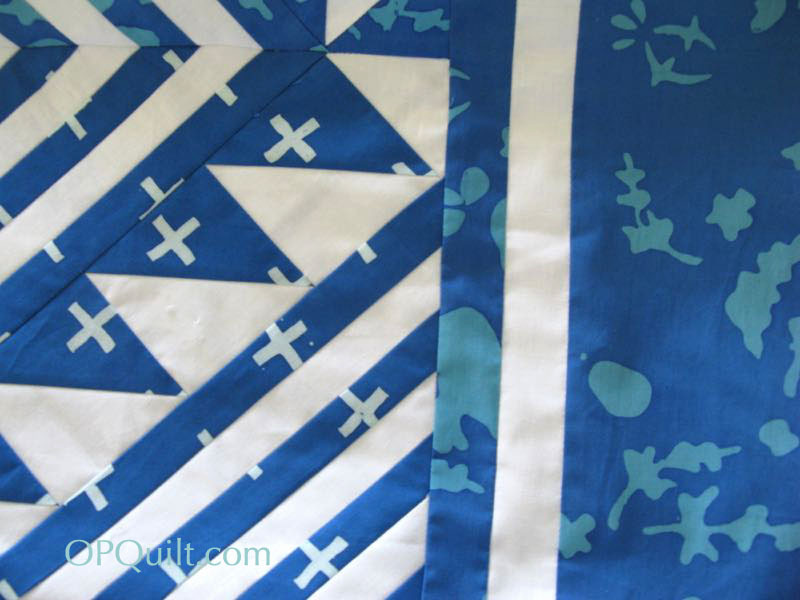 And I like the idea of scraps in a two color quilt–amazing you could get such similar shades and values. It looks fabulous, Elizabeth. 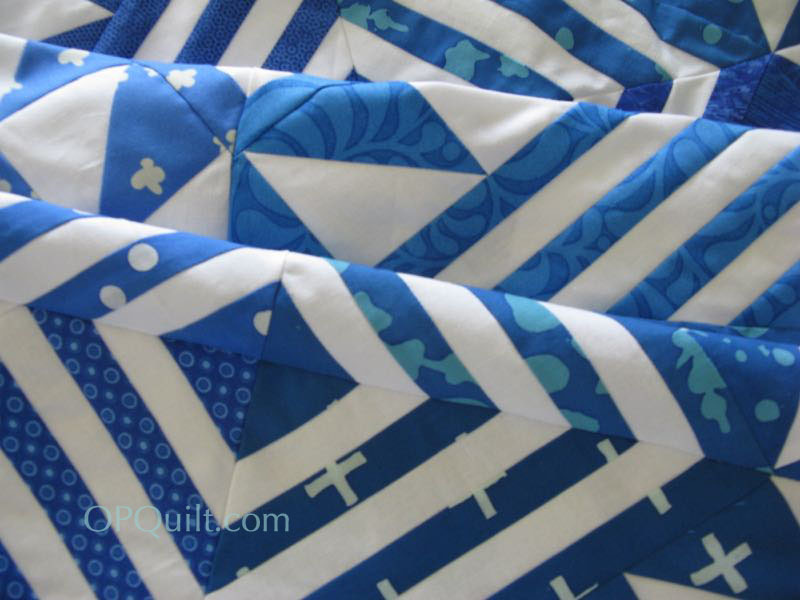 The blues are so lovely in their different shades throughout the quilt. 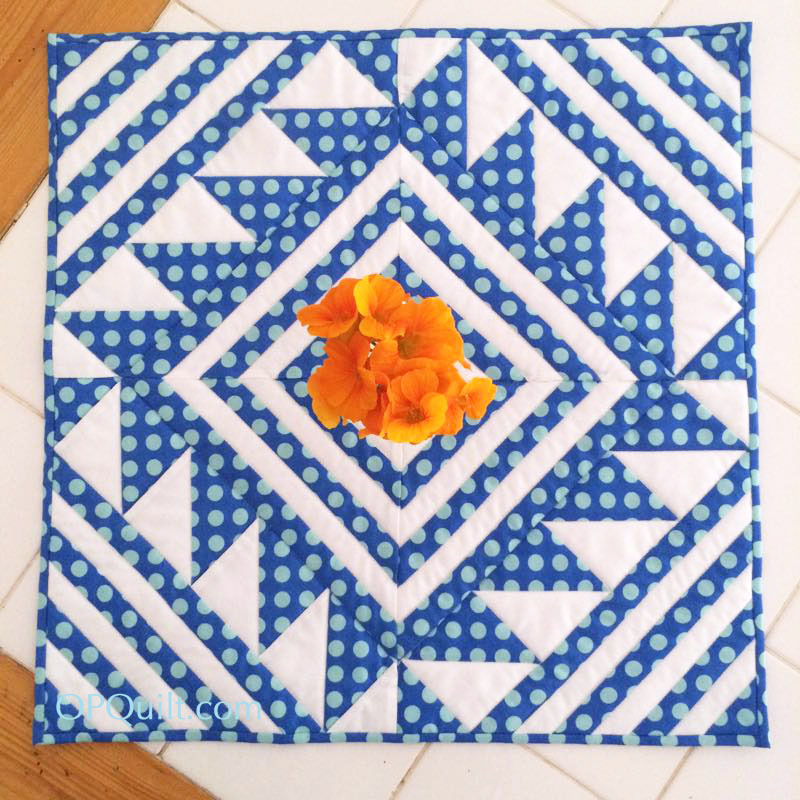 I can’t imagine doing it in a traditional quilting method. It’s a winner! Amazing, as usual. I find myself curious about what the layout possibilities are. I’m trying to visualize a layout where the larger four-block square would have two sides of dark triangles and two sides of light triangles abutting. Maybe it’s the strips, but I wondered if it would be possible to lay it out so as to mimic some of the traditional log cabin layouts. I think I’m going to have to go to graph paper and colored pencils, unless I can find my EQ7 disk which I haven’t played with in a long time. But I really do love this quilt also. It isn’t paper pieced, is it? I would love to make it in general lights and darks, not limited to a particular color. It is wonderful to see the blocks sewn together into a beautiful quilt top. Congratulations on a well-designed block. Yep, that’s a really cool quilt top! The blues are electric, and the variety gives the design even more movement and life. Great design, and it was an honor to participate! 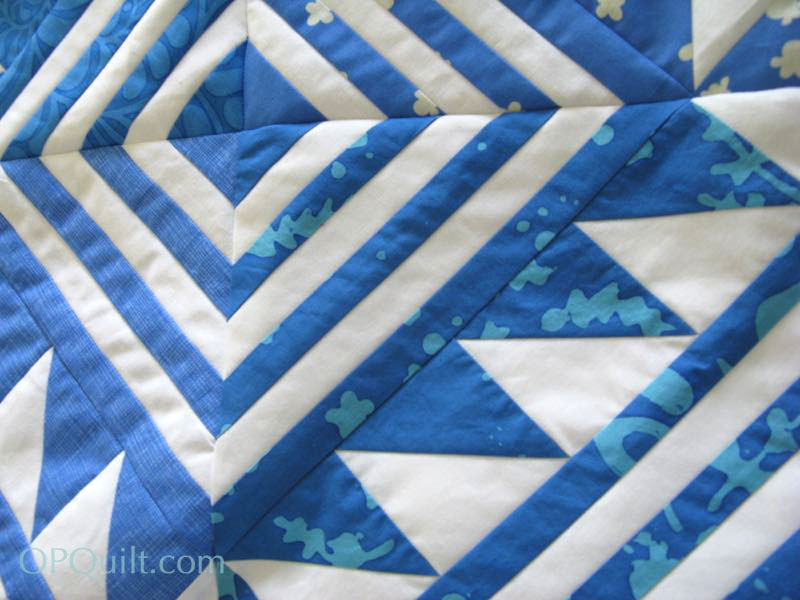 Terrific design and terrific quilt – those strong bright blues. 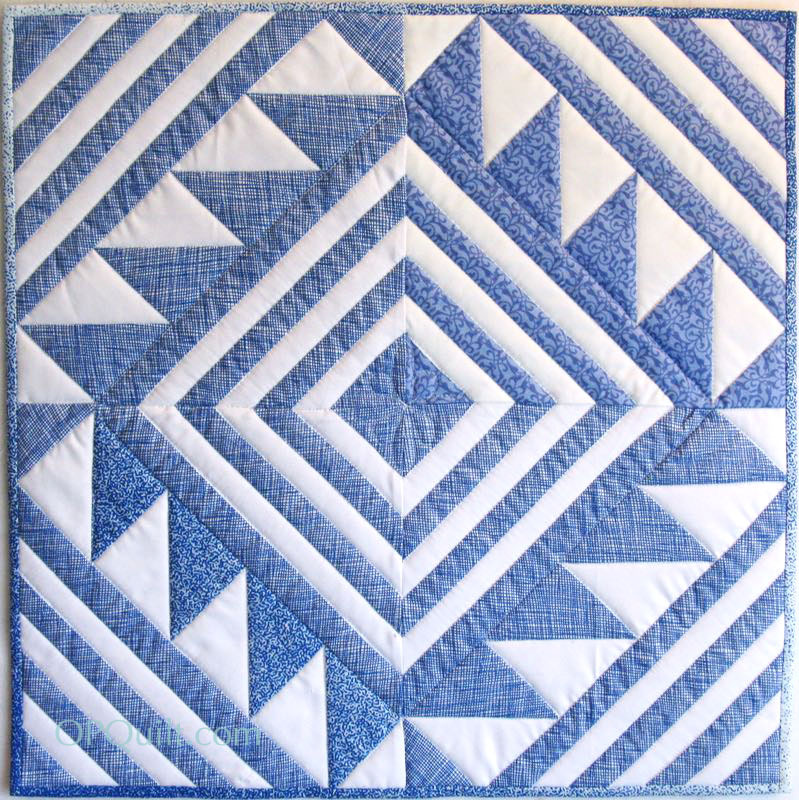 Blue and white is so classic and the variety you used makes this so fun!